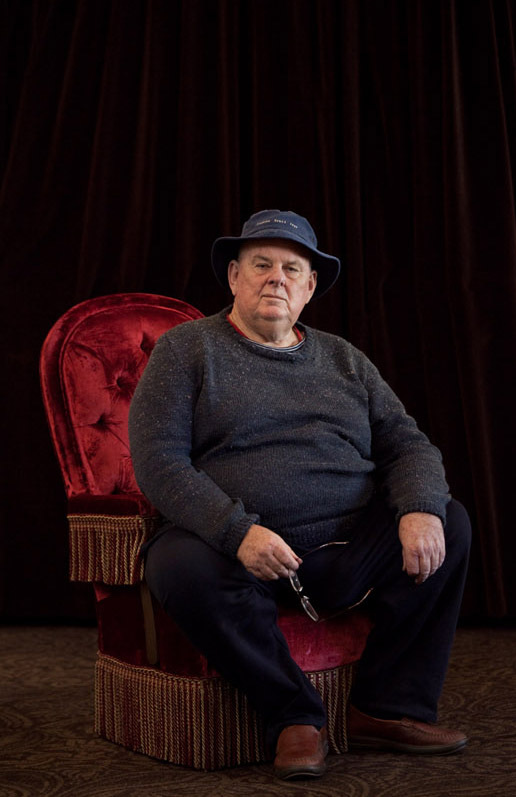 I’ve long been an admirer of Les Murray’s poetry, but until recently hadn’t had the pleasure of hearing him perform a reading of it, let alone the privilege of photographing the great man himself. Not long ago however I actually had the honour (and pleasure) of experiencing both as I was asked to photograph Les in his capacity as writer in residence for UTS, and as part of the UTS Alumni series of literary breakfasts. On this particular morning it was a 7 AM call at the QVB Tearooms, not an easy requirement for anyone, and yet the performance was magnificent (did I mention that I was a fan?). The Q & A was almost as entertaining as well, and to set it all off the majestic Mr Murray graciously sat for a portrait, replete with his favourite fishing hat, in these plush velvet surrounds – bathed in a glorious morning light as the phrase ‘bush regal’ sprang to mind.